While the Federal Reserve is unlikely to raise interest rates significantly this year in light of high US unemployment and subdued inflation, the long-running rally in the corporate bond market could come to a screeching halt as soon as the Federal Open Market Committee changes a few words in a post-meeting press release. This will determine how quickly market participants anticipate a Fed tightening, analysts say. Investors are skittish in light of the amount of debt the US government will be issuing at a time when foreign central bank buying of treasury securities could dry up. The treasury market took a hit on January 27 after Thomas Hoenig, president of the Federal Reserve Bank of Kansas City, dissented from the FOMC's decision to keep the federal funds rate unchanged in the zero to 0.25% range for an extended period. The Fed's policy-setting committee also confirmed that the central bank would complete its $1.25 trillion mortgage-backed securities buying program by the end of March, as planned. Hoenig, a Fed veteran, believed that economic and financial conditions had changed sufficiently that the expectation of exceptionally low rates for an extended period was no longer warranted, according to the FOMC statement. The unusual dissent, which was the first in a year, convinced many market participants that a Fed tightening could come sooner than was expected earlier. Treasury bonds recovered quickly, however, as worries about sovereign debt problems in Europe triggered a rush to less risky investments, while the euro tumbled to a 10-month low against the safe-haven dollar in February. Meanwhile, the price of insuring corporate bonds against default has risen sharply in the US market. 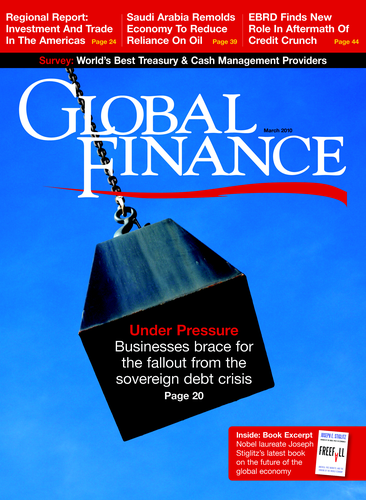 The threat of increased regulation in the US financial services sector was one reason for a widening of spreads on credit default swaps (CDS) throughout January, according to a report by New York-based GFI, a provider of wholesale brokerage, electronic trading and support products for global financial markets. Combined with indications that China was beginning to tighten monetary policy sooner than expected, the more challenging political rhetoric in the United States aimed at the banks encouraged more creditors to buy protection against default, GFI says. "This is perhaps understandable following the solid credit rally through the latter half of 2009," it adds. European credit markets quickly reversed a bullish end to 2009, with the most widening of CDS spreads by Greek, Spanish, Portuguese and Italian banks, GFI says. The deterioration later spread to telecommunications and utilities companies in these same countries. Elsewhere, sovereign risk was better contained, GFI says. In Latin America, Brazil led the widening of CDS spreads, although the move was modest in comparison with activity in Europe. Meanwhile, corporations are rushing to issue debt while the window of opportunity is still open. Investors so far have demonstrated a voracious appetite for corporate debt, which is viewed as safer than equity investing and which offers higher returns than are available on government bonds. The corporate bond market had a record year as measured by total returns in 2009. Investment-grade corporate debt issues totaled a record $1.2 trillion last year, while global high-yield debt issuance more than tripled, according to Thomson Reuters. 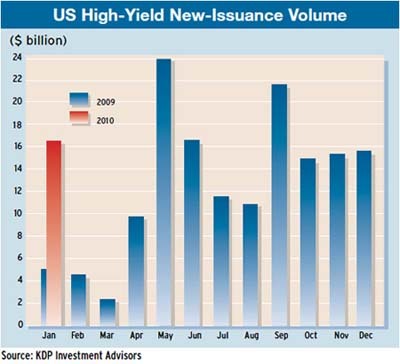 The $16.5 billion of US high-yield new issuance in January was a record for the month. The environment for new corporate debt could turn more hostile later this year, as investors become more worried about potential interest rate increases, it says. A long period of deleveraging nearly always follows a major financial crisis, according to a report by the McKinsey Global Institute (MGI). "If history is a guide, we would expect many years of debt reduction in specific sectors of some of the world's largest economies, and this process will exert a significant drag on gross domestic product growth," it says. "The deleveraging process has barely begun." The institute built an extensive database covering 45 episodes since 1930 in which an economy deleveraged or significantly reduced its debt-to-GDP ratio. Charles Roxburgh, an MGI director based in London, and Susan Lund, MGI director of research, based in Washington, DC, led this project. "Episodes have been painful, on average lasting six to seven years, reducing the [debt-to-GDP] ratio 25%," according to the report. The fear is that an unwinding of unsustainable debt burdens will drag down growth rates for years to come, it says. "So far, reality has been more benign, with economic growth recovering sooner than expected in some countries, even though the financial sector is still cleaning up its balance sheets and consumer demand remains weak," it adds. 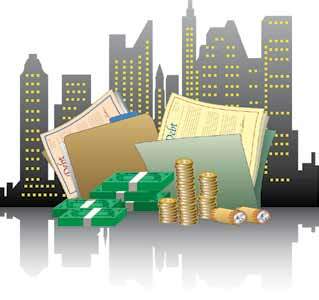 An environment of tighter and more costly credit will alter the viability of some business models, the report says. "With the household sector likely to deleverage in several countries, consumption will likely grow more slowly than before the crisis, causing spending patterns to shift," it says. The deleveraging process has negative implications for economies and risk assets that should prolong the period of low interest rates, says Paul Brain, head of fixed income at Newton Investment Management, a subsidiary of BNY Mellon Asset Management. "The authorities' enormous fiscal and monetary policy efforts appear to have been sufficient to turn the world economy around, but the bill for previous excesses still needs to be paid," he says. "We have argued repeatedly that, saddled with debt, the Western governments cannot contemplate anything but a fiscal exit," Brain says. "Removal of certain liquidity measures that have kept markets open is a given, but a rapid reversal of quantitative easing measures or increases in short-term rates appears very unlikely given the focus of the markets upon debt-to-GDP levels." The high levels of cash on companies' balance sheets and low official interest rates should be sufficient to keep the world's major economies from a double-dip recession while fiscal tightening begins, Brain says. Meanwhile, the fiscal rules of the Maastricht Treaty that created the European Union could play a role in who tightens first. "We believe that Europe, through the straitjacket of the euro's Maastricht rules, will be forced to follow this tighter path sooner than the US or the UK," Brain says. "This is good news for the German bond market in the near term and also for the peripheral European markets if and when their exit plans prove credible," he says.